Therm-App® transforms Android smartphones into powerful thermal imaging devices. It combines the power of a fully functional thermal camera with the mobility, processing power, display capabilities and advanced features provided by smartphones. Therm-App® gained outstanding success as the first Android thermal imaging camera and is still the highest resolution device of its kind. 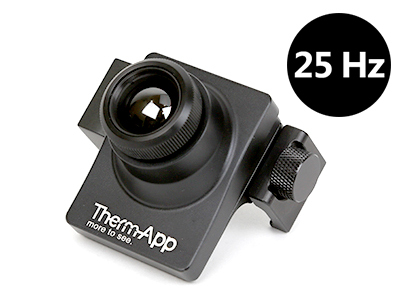 Following its success, we introduced additional Therm-App® models specifically for professional thermography and outdoor applications. Choose the product that is right for you and enjoy the excellent performance Therm-App® has to offer. 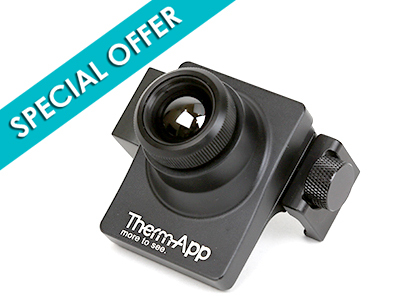 This Therm-App® is extremely popular among professional users worldwide, transforms Android smartphones into powerful thermal cameras, featuring long-range night vision and basic thermographic features. The Therm-App® Hz is a high-end solution for security, safety and other night / outdoor applications. Through its higher 25 Hz frame rate, Therm-App® Hz delivers smooth thermal images, especially when the user or the targets are on the move. 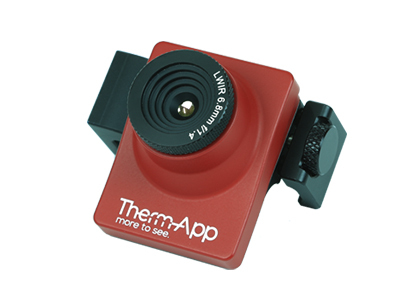 The Therm-App® TH is dedicated for thermography applications, offers an exciting suite of thermography features including full radiometric capability, multiple color palettes, video and sound recording, as well as efficient reporting and data analysis. 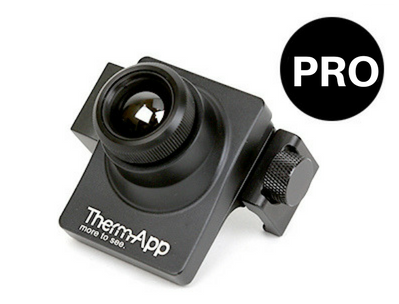 The Therm-App® PRO is the highest quality thermal camera of its kind. Using its 640 X 480 pixel core it clearly detects human targets at an incredible 1000m (yd) distance. And vehicle size targets at 3200m (yd) away.